2. 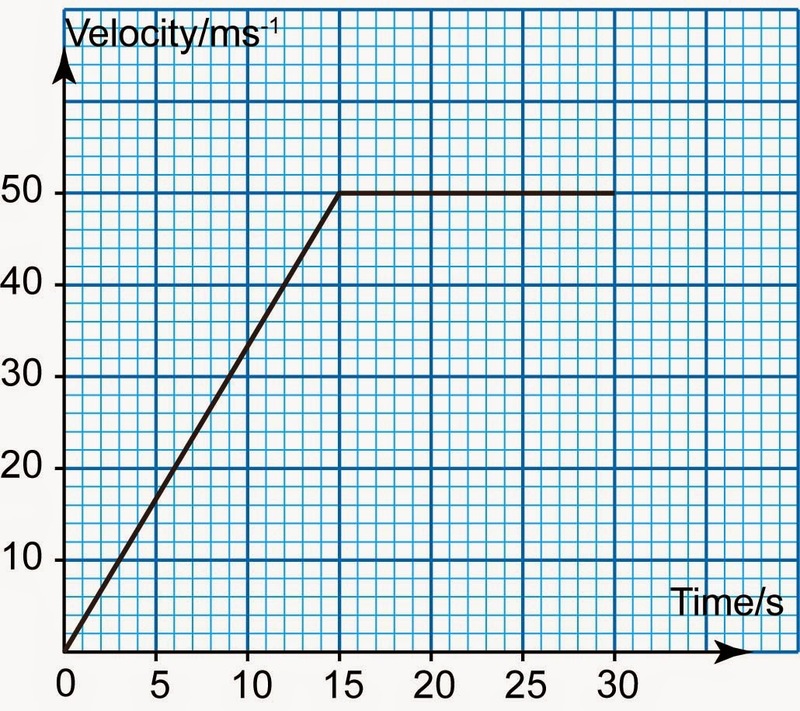 The graph below shows how the velocity of a car changes with time. Find the distance traveled by the car in 25 seconds. 3. 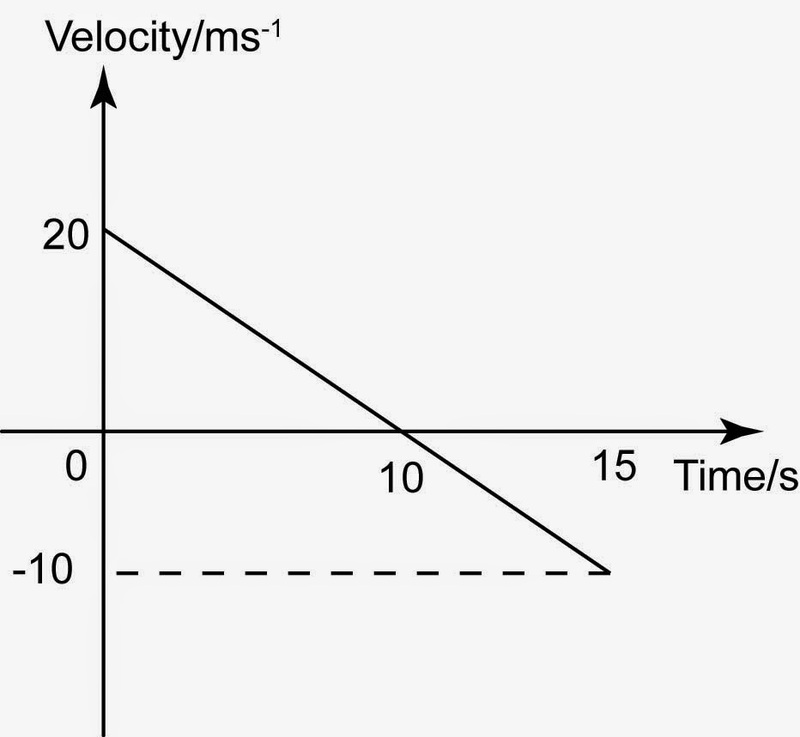 The graph below shows how the velocity of an object changes with time. 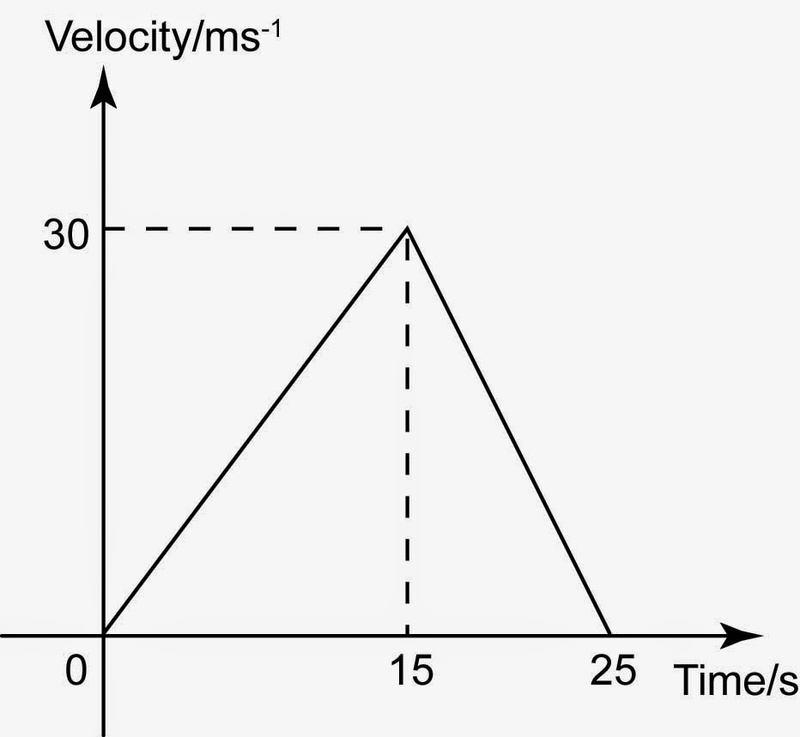 What is the acceleration of the object in the first 15s? 4. 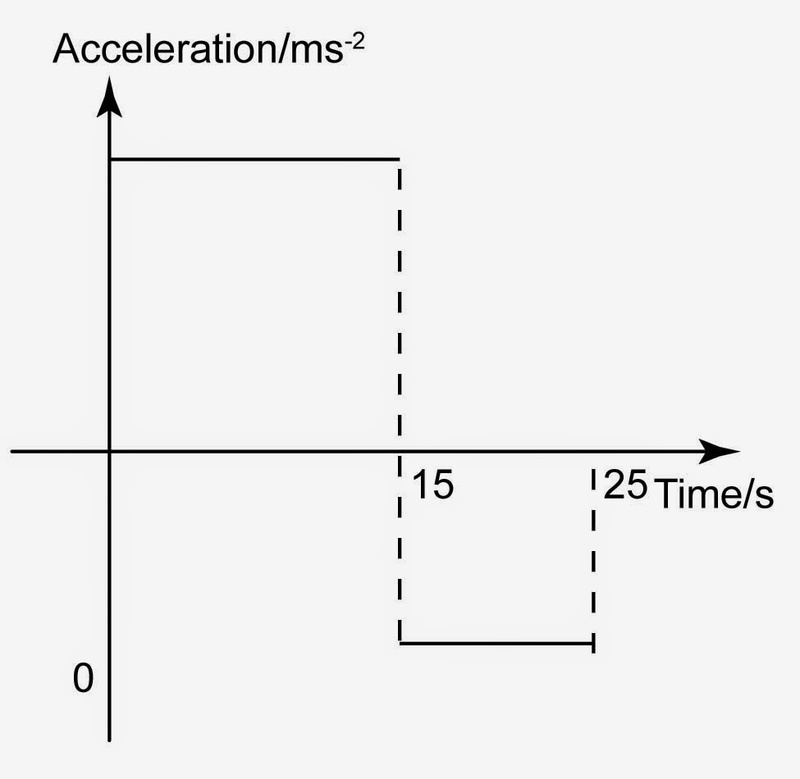 The diagram above shows the velocity-time graph of a racing car. 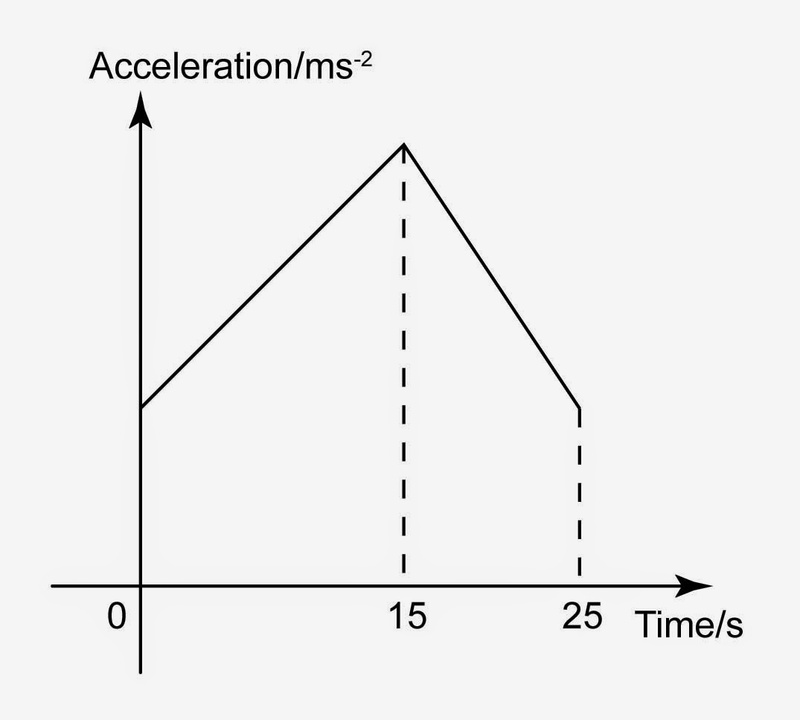 Among the acceleration-time graph below, which one shows the same motion of the car? 5. The graph below shows part of a car journey. Which of the following statements are true regarding the motion of the car? The car changes direction at 10s. 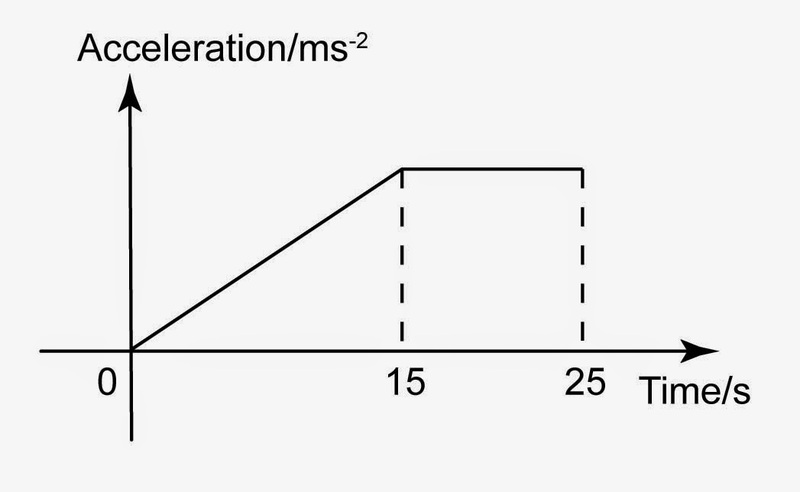 The speed of the car is decreasing at a uniform rate in the first 10s. 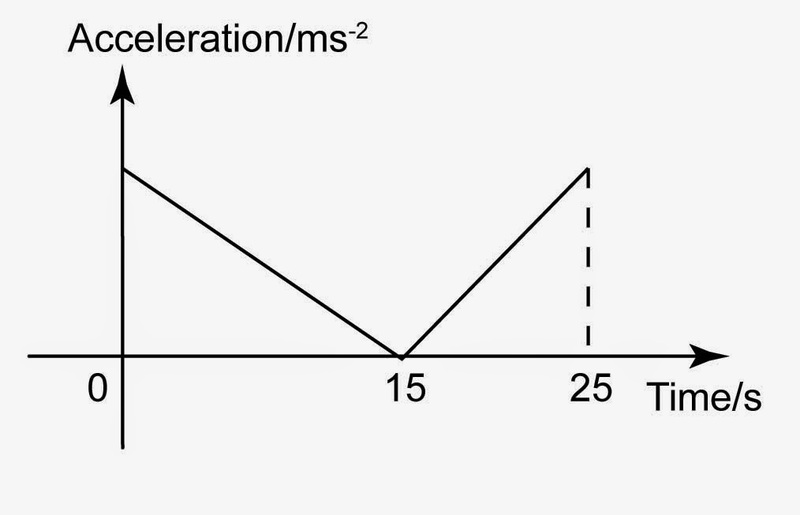 The car is moving away from the reference point in the last 5s of motion. 6. 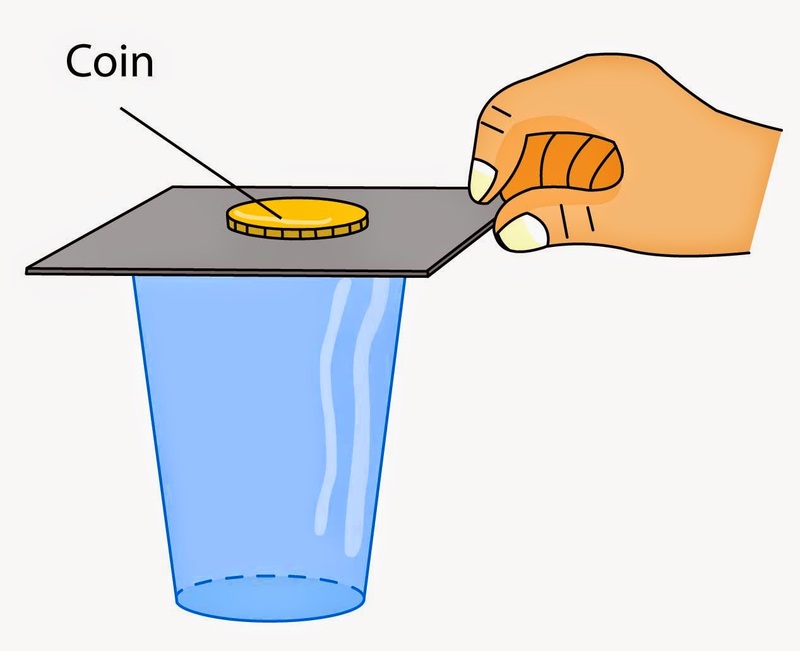 Which of the following statements are correct about inertia or Newton's First Law? Inertia is the tendency of an object to resist changes to its state of motion. 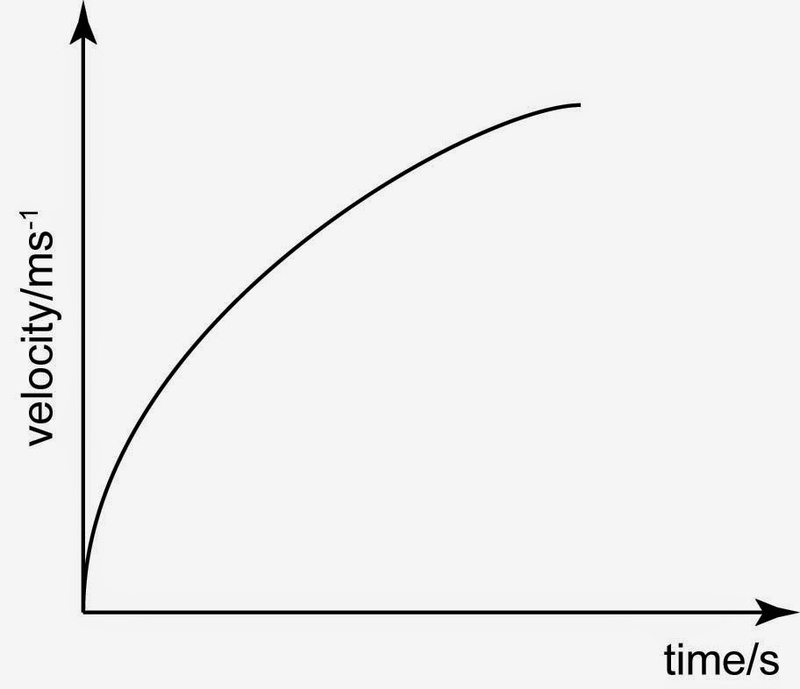 Newton's first law state that if there is no external force acts on a moving object, the speed of the object will decrease. 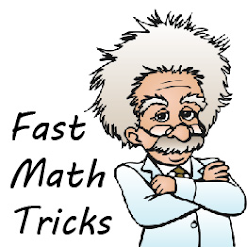 An object in motion tends to stay in motion with the same speed in a straight line unless a non-zero net force is acted upon it. The larger the mass of an object, the greater the effect of inertia on the object. a train normally moves with higher speed compare with a car. the friction of the rail way is lower than the tar road. the inertia of the train is very big compare with the car. 9. 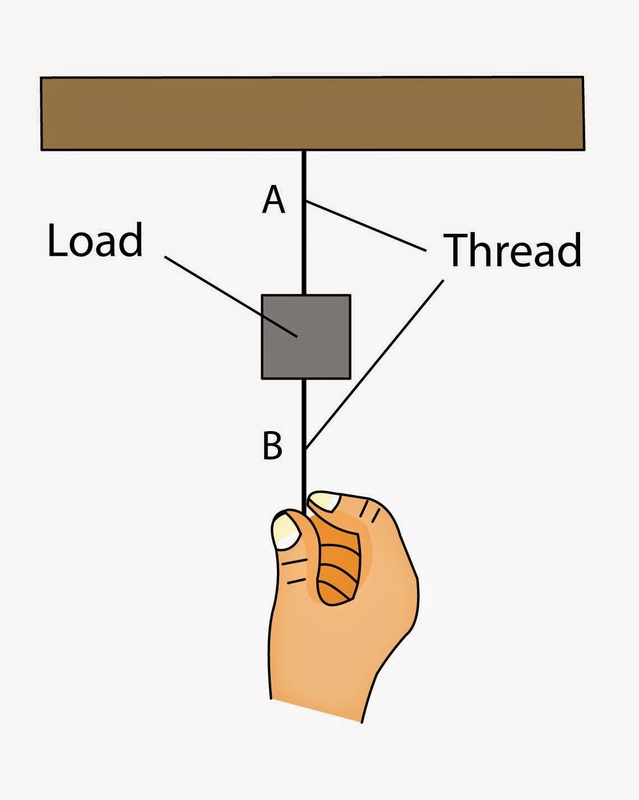 By referring to the diagram below, what will happen to thread A and B when thread B is pulled quickly? Both thread A and B will snap at the same time. if there is leakage in a tank, not all petrol will flow out. the inertia impact of the liquid will be smaller when the lorry stops suddenly.